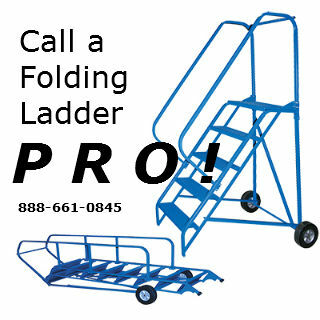 Roll & Fold Ladder Will Roll Thru A 36" Wide Doorway! 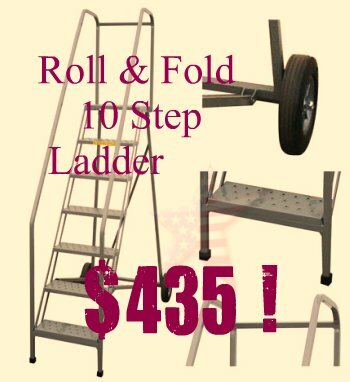 ROLL & FOLD LADDER provides all the benefits of a SAFETY ROLLING LADDER but can roll thru a 36" wide doorway. 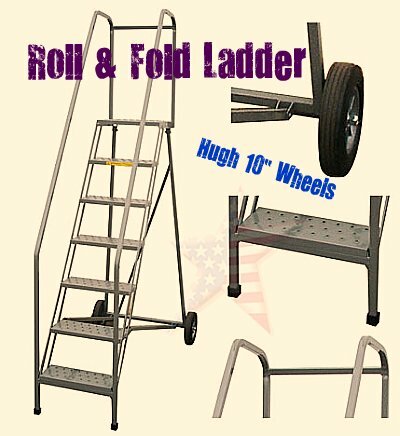 By removing two bolts, the outer legs fold inward and the ladder can be rolled on its 10" tires. With large 10" tires the ladder can be rolled over rough terrain to access areas where most standard ladders wheels may jam on obstacles. 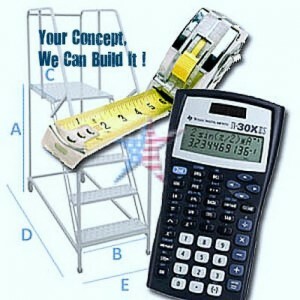 We can Galvanize these or build these out of aluminum.